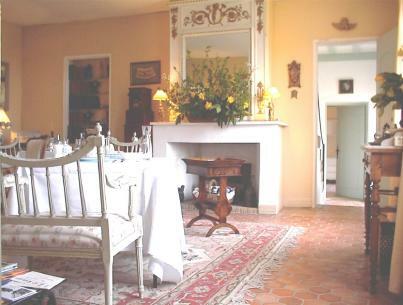 La Saussaye, an impressive farm-house dating back to the 18th Century, is located in a beautiful natural setting at 80 km west from Paris. Surrounded by its gardens and orchard, it will be a refined and welcoming stop during your stay in the area of Paris, Versailles and Giverny. Perrine and Stanislas will be glad to help you in planning your daytrips to Claude Monet's gardens (11 km), Chateau-Gaillard, Versailles or Paris. 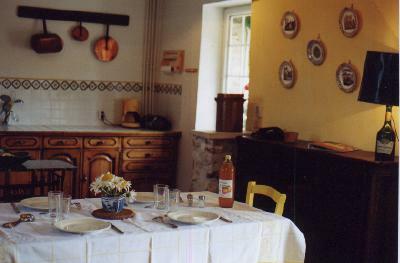 The two Gites are open all year round. Fitted out for your comfort and pleasure, they have an independant entrance. In the Summer months, you'll take advantage of the garden planted with roses, lavenders and hydrangeas. 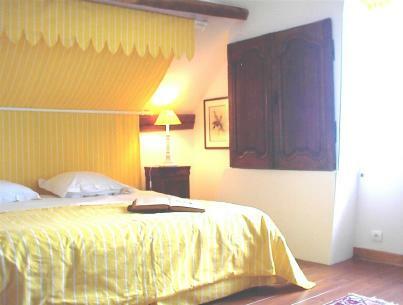 Self Catering Gite "Le Clos Robert"
Self catering gite with 3 bedrooms, capacity 6 persons + 1 baby. 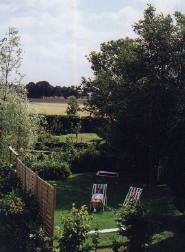 private garden with garden table and chairs, deckchairs, barbecue, parking place for the car. 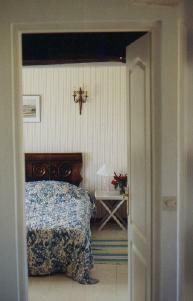 Self Catering Gite "The Orchard"
Self catering gite with 2 bedrooms, capacity 7 persons. Large private shower room with WC. Double bed 180x190cm separable into twin beds. 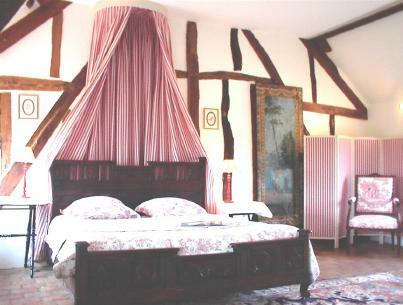 Very spacious, half timbered room decorated with toile de Jouy. 170cm x 190cm large ancient bed. Private shower room with WC.